Are you awaiting a candlelit dinner, a bouquet of luscious red roses, diamond jewellery and heart-shaped chocolates this Friday the 14 February? Well if you are, you are apparently like most girls who think such things are very romantic. Me, well, I’m not like most girls. I’m a florist. And the last thing I want to see when I come home on Valentine’s Day after a 60+ working hour week are more stems of thorn-ridden roses. That’s what I tell myself at least. But year in and year out, my disappointment in not receiving the romance that I see given out all day long always gets to me. For some stupid reason, I stress out and feel upset that I arrive home to exactly what I asked for – a simple, homemade dinner and/or a nice massage, followed closely by bed time so I can rest my weary bones and rose thorn impaled hands (I can’t wear gloves because then I would risk breaking the stems, and I won’t be able to arrange the flowers properly). Why is this? Well, I blame it on the fact that Valentine’s Day is incredibly commercialised; it’s a Hallmark Holiday. And thus I feel guilty to everything that V-Day pressures men and women to do. Because as much as I like to think I’m unique and cool and totally nonchalant when it comes to advertising, clichés and commercialisation, I cannot deny that I am a young woman living in the 21st Century. It’s pretty much impossible to ignore V-Day and all the good and bad that come with it, especially as a florist. But what bothers me more about Valentine’s Day than my own hang-ups is the fact that it is also an incredibly sexist holiday towards men and women alike. All one has to do to experience the sexism first-hand is to Google ‘Valentine’s Day.’ You’ll see ‘Valentine’s Day 2014: Best gifts for her,’ ‘What to buy for Valentine’s Day’ and ads for flower shops. Valentine’s Day has been much the same for the past few centuries. Once it caught on as a holiday in the 18th-century, lovers expressed their love for each other by presenting flowers, offering confectionery and sending greeting cards. Not much different from today’s e-cards, expensive roses and diamond jewellery. The trend that really caught on is the notion of the man as the giver of these expensive gifts, which follows on from breadwinner traditions that feminists have fought against for decades. The ‘Valentine’s Day 2014: Best Gifts for Her’ article, which was written for the International Business Times, pretty much sums up all my issues with the day. 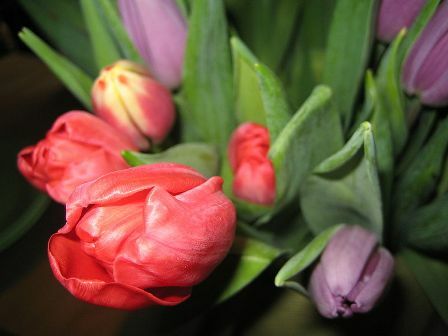 It states: ‘Of course, Valentine’s Day will not be complete without flowers!’ and later, ‘Let’s fact it. Girls love getting jewelry especially from the guy she loves and on Valentine’s Day, no less! A lot of women think it’s very romantic.’ And then, last but certainly not least, the article encourages men to buy their woman a slim-fit Pink t-shirt, which gives some of the proceeds to charity. So basically, girls love flowers (which cost from $35 each rose to $445 for two dozen roses, that is, if you’re buying from Sydney’s premier florist), jewellery (remember the phrase ‘an engagement ring should cost two months salary’?) and clothes that can only fit, well, not the average woman. Personally, I think that’s all a bit gross and unromantic and also forces men to shell out wads of cash that could be spent elsewhere (a romantic holiday, a massage, a few bottles of wine etc.). Plus, why is it only one day per year that we’re meant to shower someone we love with gifts? If you agree, then definitely don’t hesitate to re-think the holiday. Take a look at what else you can give your loved one on the day, or if you’re not dating anyone, spend the day with a good friend or with your family. This entry was posted in Opinion and tagged Opinion, valentine's day. Bookmark the permalink.